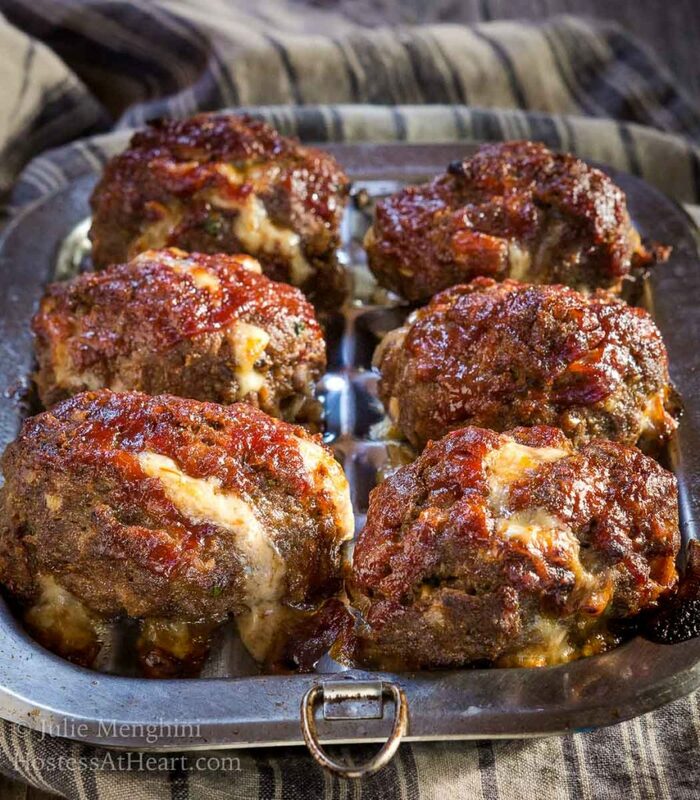 This lightened-up Cheesy Meat Loaf Minis recipe tastes like a decadent rich dish. 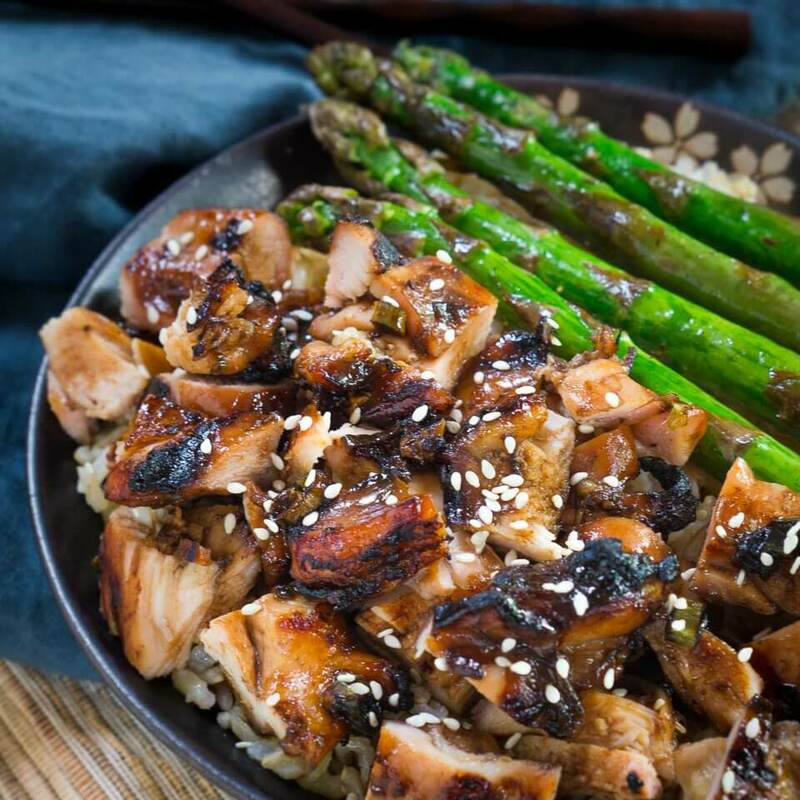 You’ll never miss the fat and calories that are missing in this dish. I first developed this Lightened-Up Cheesy Meat Loaf Minis recipe a couple of years ago when I was losing weight. I couldn’t believe how good it was, and I have made it several times since. It’s great every time and proof that lightened up dishes don’t have to taste like it or make you feel like you’ve deprived yourself in any way. There are so many diet programs out there. It’s no secret that I’ve struggled with my weight my whole life (almost). I was either losing or gaining. There wasn’t any maintaining in my maintenance. For me, it’s because a lot of the programs that I tried didn’t fit into my life. They were all or nothing. Getting healthy was as much an education as anything physical that I experienced. I learned that I can eat amazing food that my whole family enjoys by making just a few changes. Just like I did in this Cheesy Meat Loaf Minis. I cook these individual meat loaves on a broiler pan so any extra fat drips off of the meat. Meatloaf is generally cooked in a loaf pan and allowed to cook in its own juices (fat). 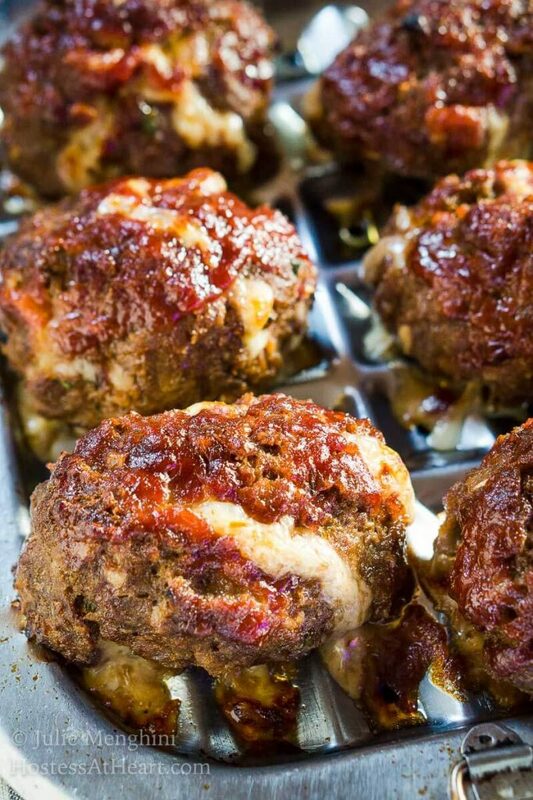 This lightened-up Cheesy Meat Loaf Minis recipe tastes like a decadent rich dish. You'll never miss the fat and calories missing in this dish. Coat a large skillet with cooking spray and heat over medium-high heat. Add onions and saute until browned and softened. Add garlic and saute for another minute. 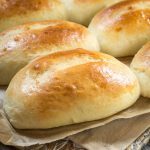 Shape into 6 (4 x 2) loaves and place on a broiler pan coated with cooking spray; spread remaining barbecue sauce over each loaf. Bake at 375° for 25 minutes or until done. This Cheese Meat Loaf recipe makes 6 servings, I will often put a couple of them in the freezer for a busy day. John will ask if we have any in the freezer when I seek his inspiration for dinner ideas. I guess I should make them more often. Or better yet, make a double batch. Another thing that I do is use block cheddar cheese. I have a lot more options for using it. You use whatever works for you. 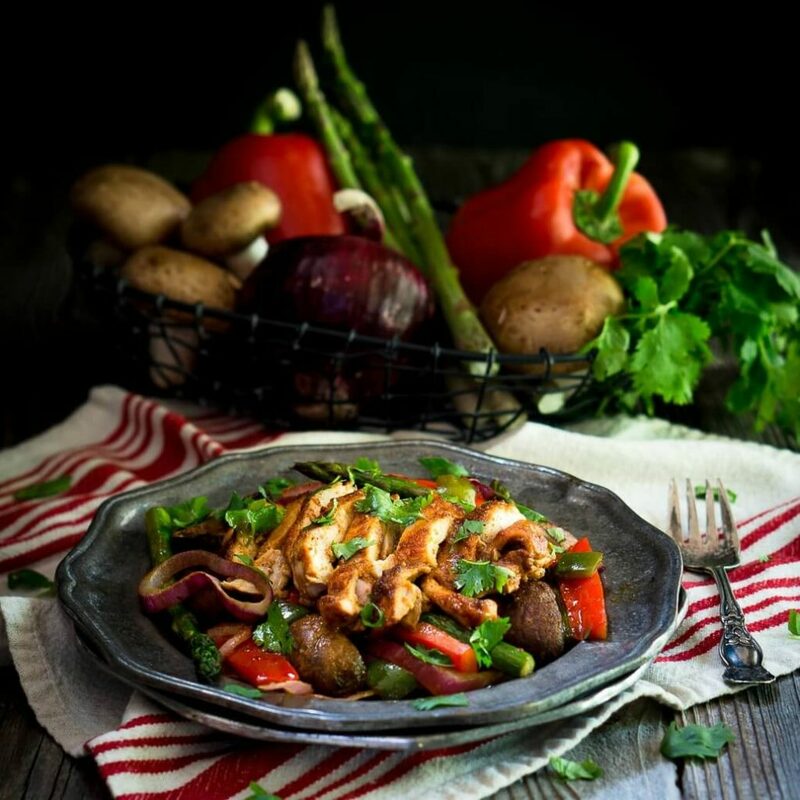 Here are a couple other recipes that are delicious and healthy too! 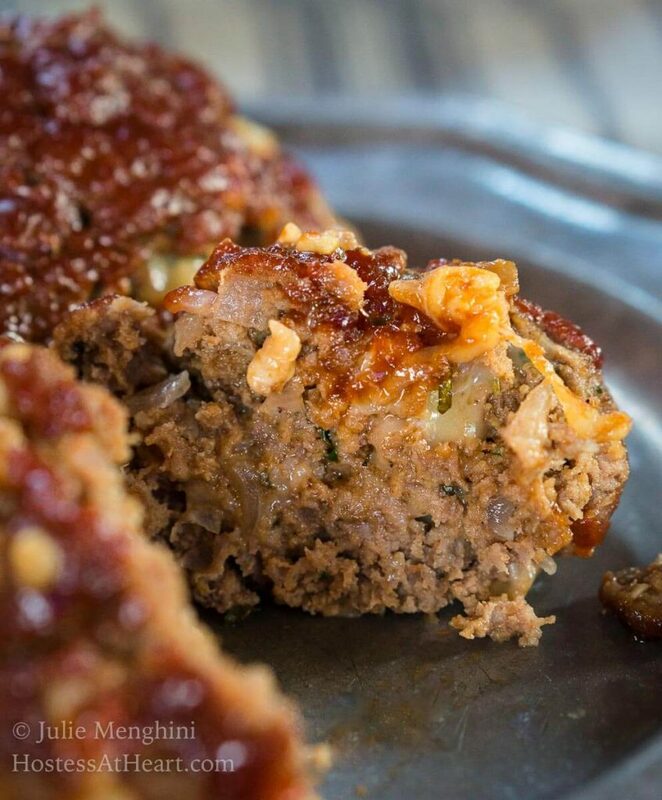 Meatloaf is the perfect comfort food! Love this! 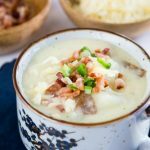 What an AMAZING recipe this is!! We enjoyed the heck out of these little guys! These meatloafs sure look delicious and definitely don’t look like I would be missing out with this lightened up meal. That bbq sauce coats the mini loafs so well! Thank you, Sandra! They’re a regular at our dinner table. What a great tip to roast on a broiling pan – that is so smart! 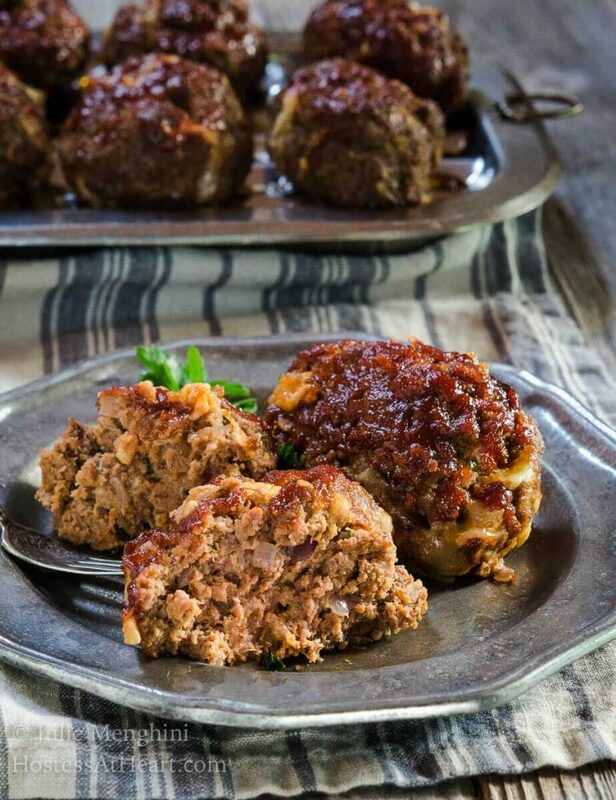 AND this recipe looks amazing, moist and tender lightened up meatloaf – definitely on our menu plan! Thank you, Debra! We seriously don’t think that they taste lightened up. 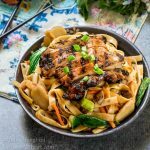 Just delicious and easy for a week night. Thank you so much Dor, you’ve just made my day! Thank you so much for the compliments and stopping by! Layers of flavor and just the perfect size to make many and share with my young working family for busy weeknights! Thank you, Robin! That is one of the reasons that I really love this recipe too! Mercy sakes alive, child! 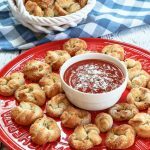 This is a fabulous recipe…love the parmesan in it as well as the dijon and bbq sauce! Yummmers! Thank you, Ally! It is definitely a favorite in our house! Looks so tantalizing Julie! Would love to give these mini meatballs a try! Thank you so much, Hadia! We love them. Lawd have mercy! I need one or five of these right now!!! Mt mom used to make mini meatloaves when I was a kid! So I’m immediately interested. In lightening them up, you added a lot of stuff that’d I’d want in there anyways. They look delicious! Thank you so much, Jeff! We love these little loaves because I can have one with a salad and John can have 2 or 3 and hold the salad! I like your minis because there are crispy edges all around them. Thank you, Karen! Me too!